The digital and electric transformation is coming to the automotive industry—and it’s coming fast. How should manufacturing companies prepare for this? And which production solutions are most geared towards the future? Renowned experts will provide answers to these questions, and more, at the 2019 EMAG Technology Forum to be held on May 15 and 16 in Salach, Germany. Participants can expect an innovative event format that allows plenty of time for practical application examples. The event dares to take a comprehensive look into the future—and relies on creative and innovative formats to achieve this. Each day starts off with a presentation by a renowned keynote speaker. On May 15 Prof. Matthias Klingner, Head of the Fraunhofer Institute for Transportation and Infrastructure Systems, will talk about “Low-Emission Zones and Diesel Bans—Opportunities for an E-mobile Future?” On the second day, Prof. Stefan Bratzel, Director of the Center of Automotive Management, will broach the issue of “Tomorrow’s Mobility—Connected Cars.” Following these, there will be parallel sessions with a variety of expert presentations. Participants can choose between events in the areas of “Digitalization,” “Innovative Manufacturing Technologies” and “Manufacturing Solutions.” The topics will, for example, address the business potential of electric motor parts, novel processes such as additive manufacturing and complete machining based on multi-technology solutions. You will find complete descriptions of all presentations and discussions on EMAG’s website. Information regarding the corresponding machine manufacturing solutions and practical examples of applications can also be found in the “themed area”—this is the name EMAG has given to a large exhibition area that will be set up in the newly-built factory hall in Salach. Everything at the various booths will revolve around e-mobility, industry 4.0, virtual reality, manufacturing systems, new processes, electric motor and hybrid engine manufacturing, as well as, specific component solutions. Moreover, participants will be able to experience many EMAG machines live and running—from pick-up turning centers to multi-technology machines, all the way to electro-chemical machining. The last EMAG Technology Forum took place in 2017. By the way: Machinery manufacturers from southern Germany have something special in store: Following the motto “Whoever wants to understand e-mobility must experience it first-hand,” we will have the newest generation of electric cars available for test drives on both days. Register for the 2019 Technology Forum Today! What will tomorrow’s (electro)mobility be like and what production solutions will be required? Experts and live demonstrations at the EMAG Technology Forum will provide some answers. 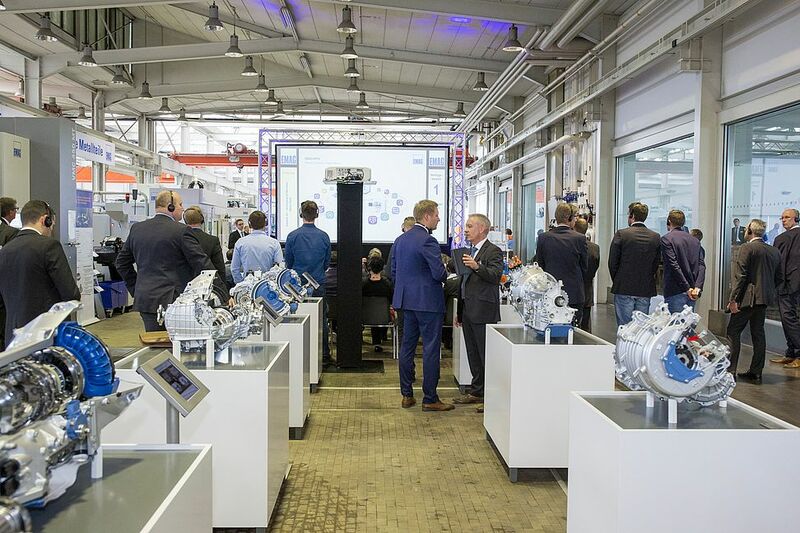 Participants can expect an exciting program revolving around things like “connected cars,” “industry 4.0,” “3-D printing,” “manufacturing solutions for electric motors” and much more. Interested? Register here today.